To rein in the prices of essential commodities, the Punjab government has decided to reinstate and strengthen district price control committees across the province. A meeting was held on Thursday to review the price control mechanism in the province. 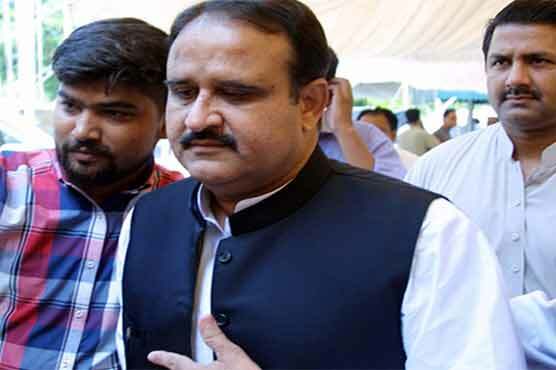 Punjab Chief Minister Sardar Usman Buzdar, who chaired the meeting, directed officials concerned to reactivate district price control committees. The chief minister asked officials to include social activists and public representatives in the new price control committees. He also ordered a vigorous crackdown against profiteers and hoarders, who were creating an artificial price-hike. He asked that a report be submitted to his office after taking action. Buzdar underscored that he would go to every extent to provide relief to the public. He added that an increase in the prices of essential items would not be tolerated at any cost. He said effective measures should be adopted to stabilise the prices of essential items and persons responsible for black marketing would be taken to task. Buzdar asked the deputy commissioners to keep a close eye on the prices of essential commodities in their respective districts. Performance of every district would be monitored with regard to the price-hike and the best performers would be rewarded, while the ones showing poor performance would be held accountable, he added. “Allied departments and agencies should also actively perform their role to control prices. I belong to the people of the province and they will not be left at the mercy of profiteers and hoarders,” he maintained. The chief minister asked officials to ensure that all shopkeepers, green grocers, and street vendors display official prices lists prominently. He also ordered indiscriminate action against violators who were fleecing common citizens and earning a bad name for the government by jacking up prices artificially. Punjab Finance Minister Makhdoom Hashim Jawan Bakht, Punjab Additional Chief Secretary (Home), provincial secretaries of Food, Industry, Livestock, and Agriculture Departments, Lahore Division Commissioner, chief minister’s spokesman, and other officials attended the meeting. Divisional commissioners and regional police officers also participated in the meeting through a video link. Following the recent increases in petroleum products, prices and rupee devaluation against the greenback, prices of almost all essential commodities have witnessed an upward trend during the recent months. Buzdar said that an effective system of checks and balances is being devised to monitor the performance of institutions. “The goal of a new Pakistan will be achieved at every cost and Punjab will emerge as the role model with regards to its performance.” He asked the public representatives to keep a close liaison with the people and make every effort to solve their problems.